Fly Drive Cairns Sydney Campervan Hire + 1 FREE FLIGHT! 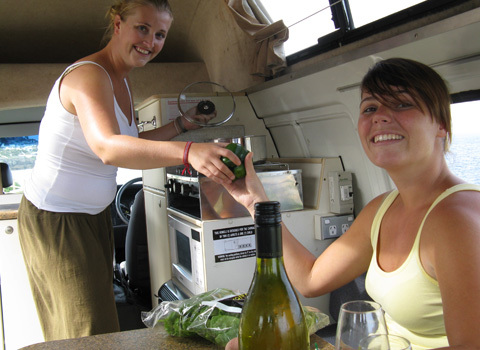 Are you looking to book a Sydney to Cairns campervan hire holiday, then hold fire! We have a cheaper option for you! Are you for example flexible with your travel dates or starting location? If so, you can qualify for a FREE FLIGHT TO CAIRNS? Therefore by flying to Cairns and starting your campervan hire trip back to Sydney you can save a lot of money! Read our guide below or call our Fly Drive Cairns Sydney Campervan Hire team on 0412766616 for more details! Fly Drive Cairns Sydney Campervan Hire + 1 FREE FLIGHT OFFER! Fly drive Cairns Sydney campervan hire – one free flight ! Are you looking to save money on Sydney to Cairns Campervan Hire? During the quieter months you can especially save a fortune by reversing your Sydney to Cairns campervan hire holiday! Going for one of our fly drive Cairns Sydney Campervan hire deals can really save you a lot of money! Why are we offering this deal you might ask? Most campervan companies will at some point during the year have too many campers in Cairns. 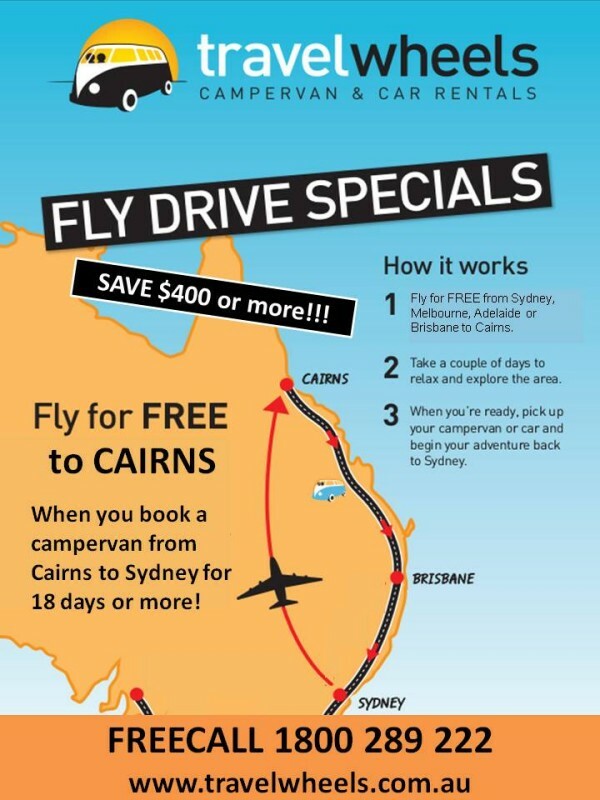 Therefore we offer these fly drive Cairns Sydney campervan hire specials instead of doing campervan relocation deals! This means you could qualify for a free flight if you reverse your campervan hire road trip! Read some of our facebook customer reviews from people who have saved money using Travelwheels. Why start from Sydney when you can fly to the sun in Cairns? Rather starting your campervan hire road trip from Sydney, instead you should go for a Fly Drive Cairns Sydney Campervan Hire deal. Note this offer is always subject to campervan availability, and furthermore not valid during the peak season sorry. However if you are flexible with your Cairns to Sydney camper hire dates you could save a fortune! Travelwheels campervan hire Sydney will pay for one free flight (max price = $250) to get you to Cairns. To qualify for this deal you therefore need to book camper for 21 days or more back to Sydney from Cairns! If you are especially lucky, then you might squeeze in two free flights for under $250 in low season! As you can see as a result of this deal it pays to shop around when searching for campervan rental deals in Australia. Now we have you excited about our campervan hire road trips in Australia! All you have to do is enter your travel dates below to get a baseline price. Then give us a call on 0412766616 and together with our friendly team we will find you something. Enter your travel dates below for our cheapest campervan rental rates. How does the fly drive Cairns Sydney campervan hire deal work? Step 1 – Pop into Travelwheels campervan hire office in Sydney or email us [email protected] You can call our team on 0412766616. Step 2 – Our friendly staff will check for our fly drive Cairns Sydney campervan hire specials. Step 3 – As long as you book for 21 days or more out of peak season (subject to availability) we will give you one free flight. The value of this flight will be capped at max of $250. 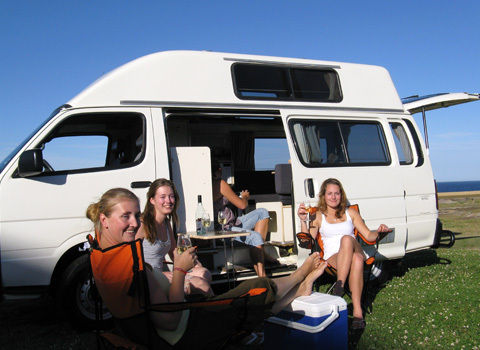 Step 4 – Simply reserve your campervan directly with us. As a result our team will then help you to book the plane tickets. We print off tickets and then you are heading for cairns! It’s important to realise that you don’t have to rush to pick up your Cairns campervan hire vehicle when you arrive in Cairns. To put it another way, why not chill out for a few days first? For example why not stay in a hotel or hostel first? You don’t need a campervan whilst actually diving on the great barrier reef! For this reason, when you have finished exploring Cairns for a few days, then visit us. Simply stroll over to our campervan hire Cairns depot and pick up your camper. As a side note, it’s worth reading our free camping on East Coast Australia guide. This will help you save money on campsites along the road trip back to Sydney. NOTE – subject to campervan availability and therefore this offer can not be used in peak season. If you are flexible you can bag a bargain here! Click on the link below to email us if you are interested in this travelwheels fly drive Cairns Sydney campervan hire special! Fly Drive Cairns Sydney Campervan Hire – why drive both ways? You now you know you can save a lot of money with Travelwheels fly drive Cairns Sydney campervan hire deals. However there is another good reason why you should go for it! One positive thing about our fly drive holidays is that you do a lot less driving and in other words do more fun stuff! This means it allows you to spend more time visit all the fantastic sites along the east coast of Australia. As you are not covering the same road twice, you will have more time for fun stuff! Fly Drive Cairns Sydney Campervan Hire – celebrating saving money! At travelwheels campervan hire we are always flying all over the country visiting our depots. Therefore we book a lot of cheap domestic flights. As a result we have listed some of our customer tips and staff picks for cheap flights. You can read more about travel tips from our customer reviews on facebook. Below is our list of who we like to use for domestic flights within Australia. Remember with these fly drive Cairns Sydney Campervan Hire deals we will help to book your flights for you. Why book a fly drive Cairns sydney campervan hire deal? Below is a list of the main benefits of booking your fly drive Cairns Sydney Campervan Hire Deal with travelwheels. Travelwheels fly drive Cairns Sydney campervan hire – brilliant way to save time, and money! Uses Low Cost Airlines – flexible, cheap, and easy to book. Australia is the ideal destination for a fly-drive holiday. Jump on a plane and within hours you are having fun in the sun! All you do is simply fly to your first destination and then chill out! Relax for a few days and then pick up your campervan. With fly drive campervan hire deal you are not paying for a camper hire when you don’t actually need it! No Backtracking or using up valuable days of your holiday covering the same road twice! Another popular option you might want to consider is Christmas cairns sydney campervan hire specials? This way you fly up to Cairns and then pick up your camper before xmas. As long as you arrive back in Sydney before the 10th of January we can offer you a special as well! For the most part, these deals are in limited numbers, but could be an option for you? Free guide to best time to get lowest prices on camper hire in Australia. These Cairns to Sydney fly drive deals are fantastic way to save money on campervan hire in Australia. However if you can’t do this route, then we want to help save you money on campervan hire in Australia. Have a read of our guide to when is best time to get lowest prices for campervan hire in Australia. In the event of finding a cheaper deal we have our price match guarantee. In fact we are very confident we can beat all competitor quotes by 10% if we have a vehicle in stock. Travelwheels Cairns Campervan Hire depot can give you a lot of advice when planning your Cairns campervan hire holiday in Australia. Our team have travelled all over Australia. In fact everyone has their own very special tips and tricks on where to go, and what to see. In the meantime check out our free route planner from Cairns to Sydney guide. We can send it to you as a PDF if you email us at [email protected]. Alternatively you can also browse through our Australian travel section which lists a lot of beautiful places. Most have been written by staff and customers and have lots of tips on getting around Australia. Another option you might want to consider is our Melbourne to Sydney road trip? If you are already here in Cairns, Brisbane or even Sydney you could qualify for a free flight! In this case we sometimes have extra campervan in Melbourne waiting to go back to Sydney. If you are flexible you could get a free flight and bring a camper back to Sydney! Enter your dates below for our best deals on Campervan Hire Australia Specials. Our online price checker will give you our lowest rates on camper hire in Australia.